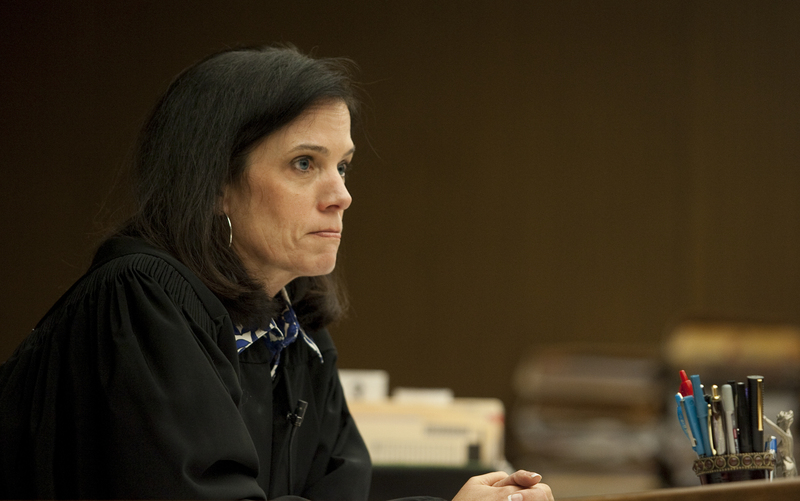 A 50-year-old Van Nuys woman was sentenced to a maximum 4 years in prison on Thursday, July 12, 2012 in San Fernando, Calif. after pleading guilty to 1 count of vehicular manslaughter in the DUI death of a Pierce College student. Valerie Stewart was first arrested on June 25, 2012 after a vehicle collision in Northridge that killed Griselda Sandoval, a Pierce College student. Blood tests later revealed that Stewart was driving with a blood alcohol level of .26, over three times the legal limit. She pleaded guilty on June 27 at the San Fernando Courthouse and returned on Thursday for her sentencing in front of Judge Beverly Reid O’Connell. 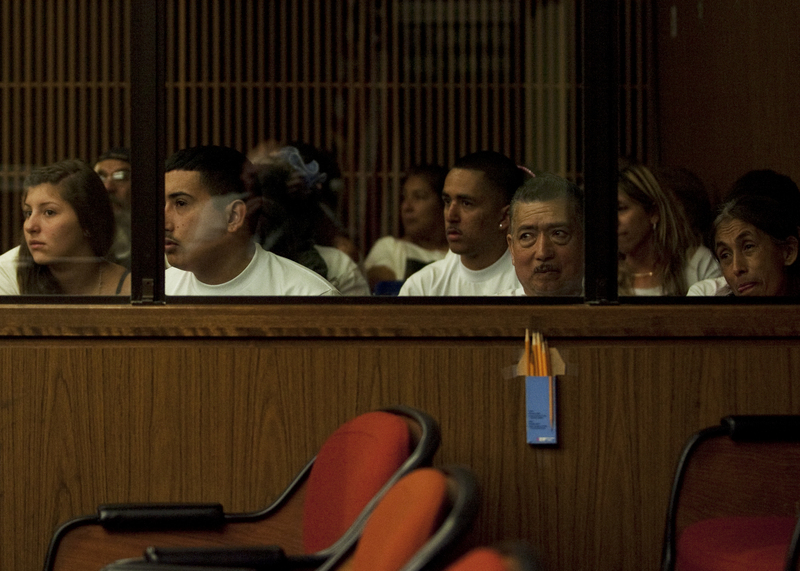 Sandoval’s friends and family wore white T-shirts displaying a picture of her along with the words, “In Loving Memory of Griselda Sandoval” and the dates of her birth and death along the bottom. 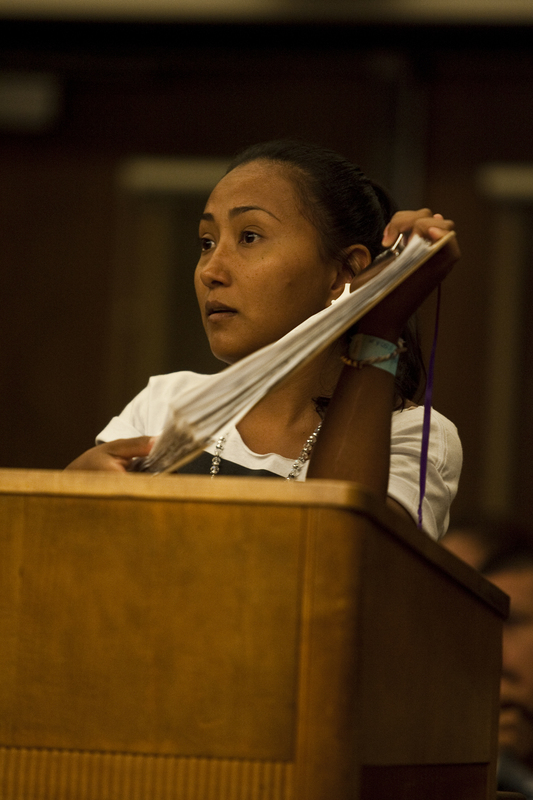 During the courtroom proceeding friends, family, as well as people that were with Sandoval in her final moments were allowed to address the judge, in compliance with California law. Krystal Sanchez, Sandoval’s cousin stood before the judge confused with the charges that were brought against Stewart. The judge explained that all she could consider was the charge that was filed, and that it had a maximum sentence of only 4 years. O’Connell suggested that council with the family attorney would be necessary to answer any further questions. Before her decision was made, O’Connell addressed Stewart asking if she would like to make a statement. A very feeble “no” was heard. Stewart’s attorney explained that his client would leave it all in the hands of the judge. Outside the courtroom the family gathered, outraged by the sentencing. 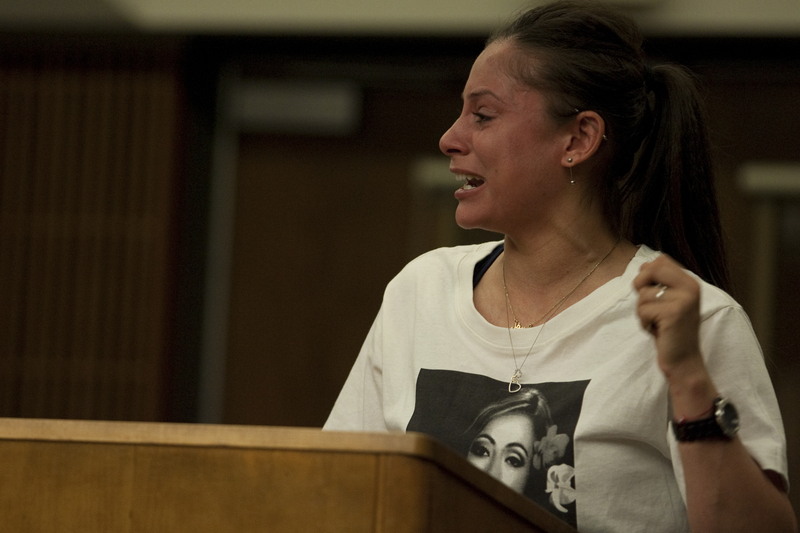 Joana Mora, Sandoval’s sister was in shock outside of the courtroom. Christopher Navro,10, Sandoval’s nephew was not able to speak in court but shared his pain in the hallway. 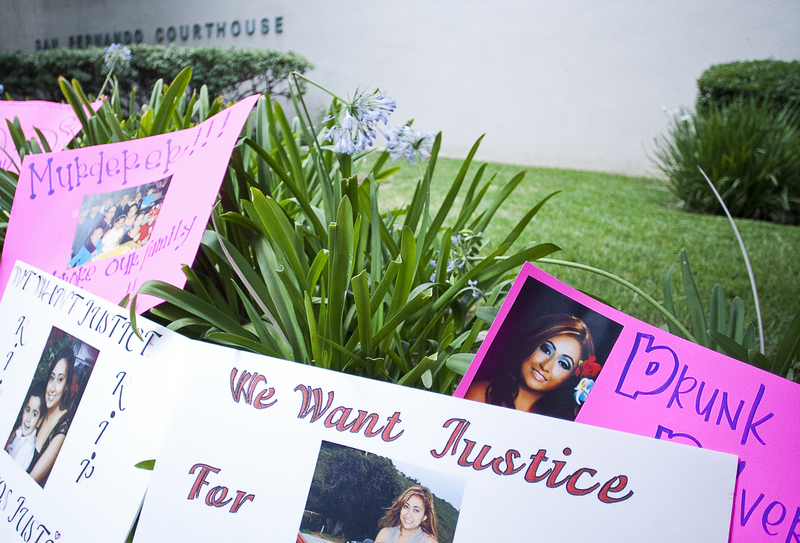 Outside the courthouse, Emma Sandoval, Griselda’s mother was taken over by emotion. “My daughter left a son,” she said as she looked over to her six-year-old grandson, Andres Ruiz. “He goes to bed between 3 a.m. and 4 a.m. because he’s waiting for his mom to come home,” Sandoval said. Emma tells her grandson that his mother was taken to the hospital because she is sick. Ruiz begs his grandmother to bring his mom home, that she is better, according to Sandoval. One significant member of the family that was not present for the sentencing was Roberto Sandoval, Griselda’s 18-year-old brother. He was driving his sister home so she could pick up her uniform for the next day when the incident occurred, according to police reports. Juana Sanchez has been neighbors with the Sandoval’s for over 30 years, and saw Griselda grow up. She feels that the sentencing did not bring justice. She asks the heavens, “Who will return her to me?” and answers her own question. Stewart is scheduled to be back in court on Aug. 20 for a restitution hearing, but waived her right to be present. Stewart was not available for comment. However, a request for an interview has been made and is currently pending. In cases such as this, it is difficult to acknowledge the rights of the accused, but it is a reflection of a fair law & system when the defendant has access to professionals in the field. They are able to ensure the case proceeds in a dignified manner with a hope that justice will be served as the ultimate aim. Defense lawyers similar to the ones found at BrownBradshaw.com contribute a democratic law & order system that is impartial in its decision making. Keep checking theroundupnews.com for more details and the latest updates.